Throughout 2013, SCLT & City Farm have had the honor to work with the following food industry partners. Thank you so much for your patronage and support. Happy New Year and we look forward to our continued collaborations. 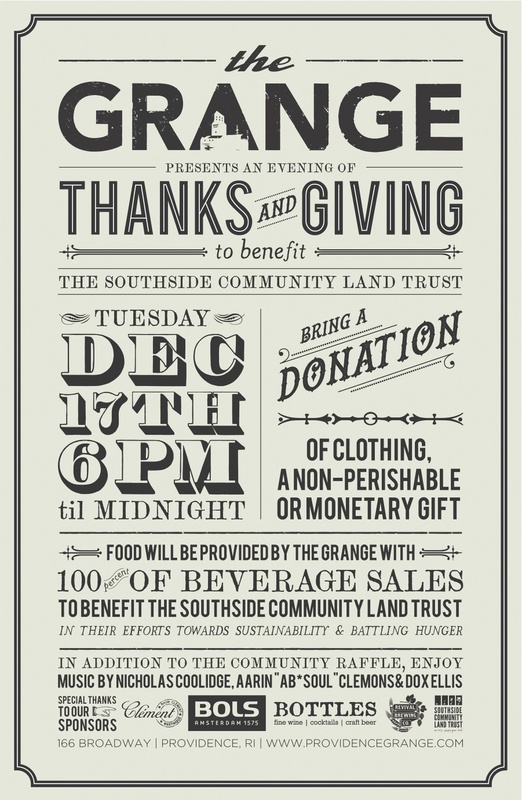 Please join SCLT at The Grange, on December 17th, from 6pm-midnight. Just bring yourself, a non-perishable item, clothing, or any monetary gift. The Grange and Rob Yaffe are as passionate about our work to combat food insecurity, poverty, and hunger, as well as maintain sustainability in the communities in which we work. 100% of all of the beverages proceeds will be donated to SCLT. Free food bites and entertainment! Nicholas Coolidge, Aarin “AB*Soul” Clemons, and Dox Ellis will be providing the tunes. Come celebrate with SCLT, The Grange & Rob Yaffe for another year of our successful work in Providence! Thank you from City Farm! 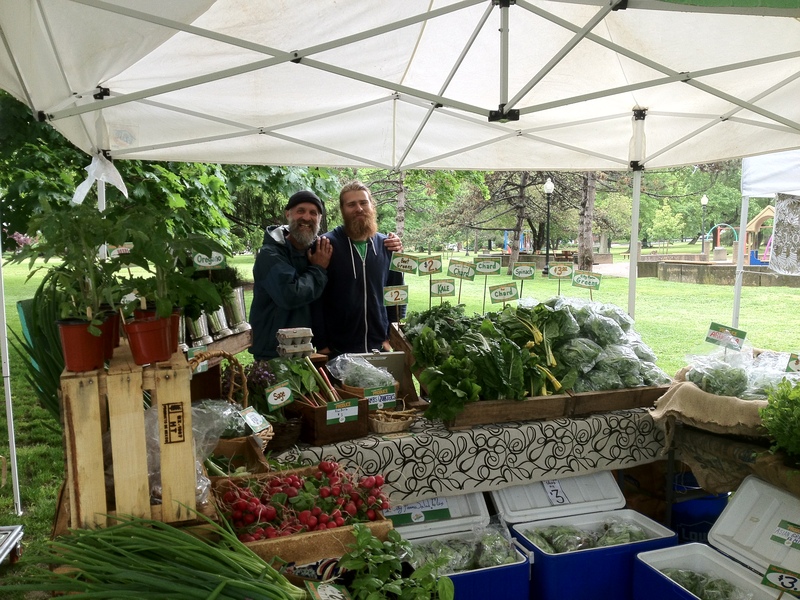 Thank you from City Farm for your patronage to their produce stand at the Lippett Park and Armory Park Farmers’ Markets! This harvest season was so successful! Provide job training as well as environmental and agricultural education to young people through the City Farm Intern & Apprentice Program. Provide the resources and training needed for over 1,100 families to successfully grow fresh, chemical-free and tasty foods. 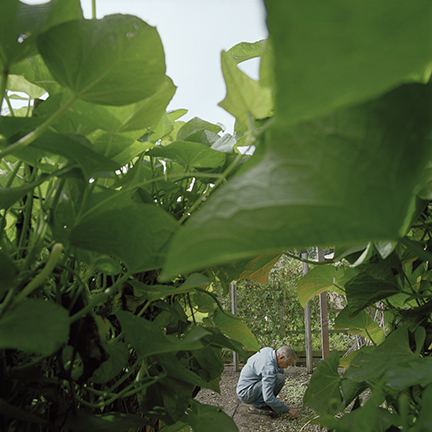 Pursue opportunities to purchase and steward even more land for food production in neighborhoods where food access and economic prospects are limited. 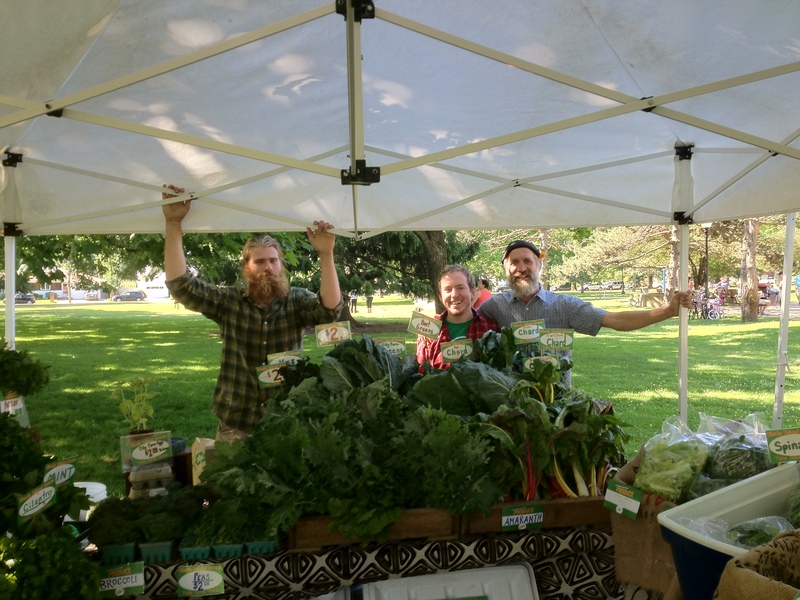 Support small-scale and micro-farmers who are selling to neighbors at local farmers’ markets and through CSA’s at Urban Edge Farm and in the heart of Providence. On behalf of SCLT’s Farm Steward, Rich Pederson, City Farm’s Apprentice Anders Newkirk, and all of City Farm’s student interns, thank you and we look forward to seeing you in the spring!